NIO, a next-generation car company recently announced the concept of NIO EVE at an event during SXSW in Austin, which is said to be the incarnation of their vision for the future of autonomous cars. The car is expected to have Level 4 autonomy, a designation for a vehicle that can handle all aspects of driving in most conditions. EVE constantly learns about its occupants and their preferences. The concept of the vehicle is equipped with NOMI, an artificial intelligence engine with an intuitive human interface which personalizes the driving experience for occupants based on their preferences. It provides verbal and visual connections both within the vehicle and with the outside world. The occupant can also use a smart windscreen as an interactive canopy. Nomi uses the active glass to provide an augmented vision for occupants and for entertainment. Inside, the car is laid out to with six seats that face each other, the comfortable and exquisite interior is accessed through a wide forward-sliding door which itself can change between opaque and transparent. The seats are flexible and have a folding table in between them that creates work or play space, with a seat that can recline and allows for relaxation. The forward two seats can enjoy an enhanced panoramic view through digital displays provided on the active glass when needed to support non-autonomous driving. The vehicle also has a steering wheel and pedal so its human occupants can take over driving if they want. It is said that NIO EVE will first be introduced to the U.S. market in 2020 followed by Europe. 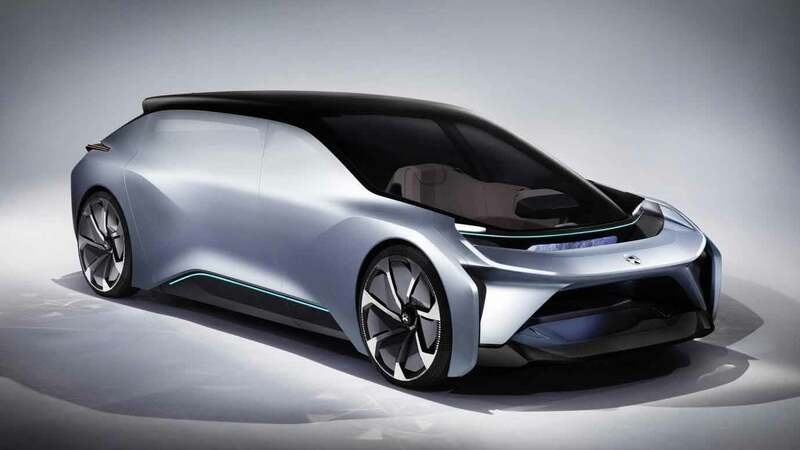 It is a very forward-looking concept and though NIO didn't announce a price it is said to be targeting the premium segment.